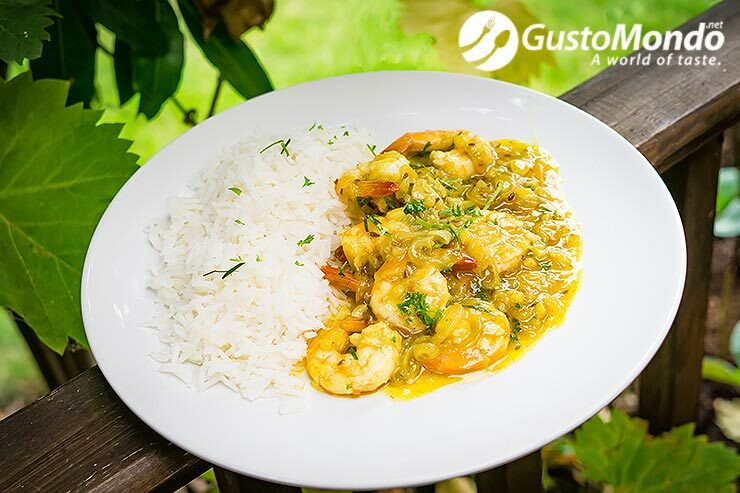 By the time your rice will steam, this quick prawn curry recipe will be ready to eat. Simple subtle yet strong flavours, this will be a favourite in no time at all. See the short video below and reat the quick and easy instructions. Heat up the oil in a frying pan or a wok. Sweat the onion and garlic for about two minutes. Add spices and cook for further 30 seconds, to release the aromas and oils. Simmer for 3 minutes. Or even a shorter amount of time if using smaller prawns. 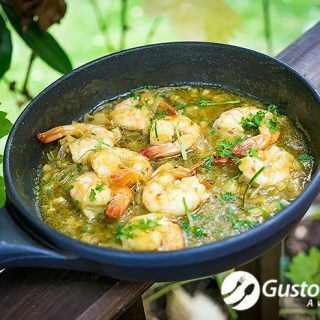 If you decide to use already cooked (ready to eat) prawns, then just 1 minute to warm through is enough. Thicken the sauce with the cornflour, mixed with 25ml of water. Garnish with the finely sliced lemon leaf, and coriander, or parsley. Serve with some simple steamed or boiled basmati rice, or even jasmine rice for some extra flavour. Enjoy. « Bacon wrapped chicken breast on a bed of vegetables. Baked.